1. Some information may be held back. First of all, keep in mind that there could be some information about the company that's held back. The selling party likely knows more about the company than you do. They went through all the ups and downs and understand how the company react in the event of an economic downturn. It's like buying a second hand car. You can take a test drive and look under the hood, but only the owner knows all the ins-and-outs about the car. The same goes for an IPO. A crucial question for every investor is: who brings the documents to the stock exchange? If it's a private equity firm your alarm bells should automatically go off. They're usually only looking to get the best price possible. This firm only does this to sell it again after a few years in mind. 3. Where's the money going to? It's a good thing if a company plans to use the raised capital for investments. That proves to me that the focus lies on growth. Then my money is being put to work! That's better than paying off debts or selling existing stocks to make an exit. Also watch out for event in which the money is used to pay off loans from selling private equity firms. That's in no way going to help you as an investor. 4. What does management do after the IPO? It's a positive sign if management stays after the IPO is released. It's a sign of confidence in their own company. If management wants an IPO to prevent the company from falling back into the hands of a private equity party. This is a different motive than managers that only want to cash in! 5. In what scenario are stocks sold? In what scenario does the IPO take place? If the selling party is under a lot of pressure to sell then you have a better chance to get a good deal. There are companies that release an IPO via a take-over of an existing company without activities. This way they can speed up the process since they're not bound to strict requirements for drafting up a prospectus. By the way, Euronext recently tightened the rules for these so-called reverse listings to prevent abuse. It's a cheap and smart way to quickly go to the markets, and that can be a good sign. Unfortunately there are also bad examples out there too. 7. 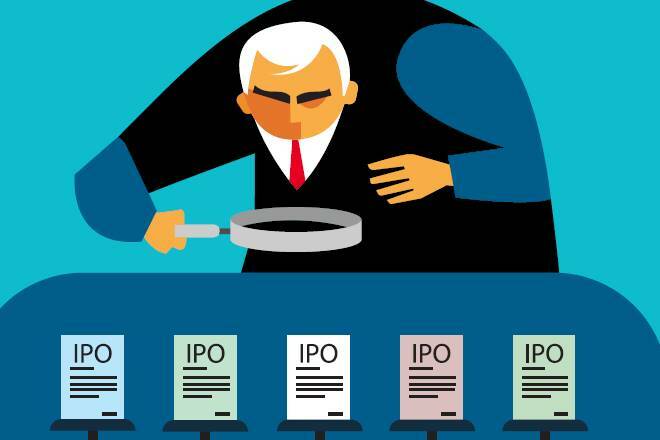 Too many IPOs is usually not a good indicator. If there are too many IPOs released in a relatively short time frame then that's usually not a good indicator. In the years 2000 - 2007 there were a lot of IPOs and we all know that many went under. Those things happen a lot in bull markets. Apparently there are parties that want to go to the exchange more quickly and are afraid to miss the boat if the stock market climate changes. In any case, many IPOs are overpriced. A well-known saying is that IPO does not stand for Initial Price Offering, but for "It's Probably Overpriced". Most IPOs are priced way too high. That's the reason why they're often trailing behind the rest of the exchange. So be on your guard, and research IPOs very well before you think about adding them to your portfolio.